Hi guys. It's Britt. This week, I've decided to flip things around. My tire swing stories will be posted on Wednesday and Friday. I'm just too excited to wait for Friday to share this with you. A few months ago, I entered the Little Bird contest created by the super-talented author, Sarah Selecky. The rules of the contest were simple: write a story based on one of her twitter prompts. Stories were judged by wonderful authors, Jessica Westhead and Matthew J. Trafford. Guys, I entered and I won!!! 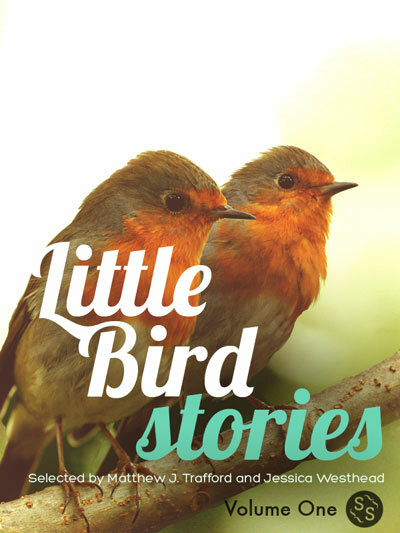 One of the many fun prizes was publication in the the Little Bird stories e book, which is now available to download online. The ebook is a steal at $2.99. If you want to check it out, go to this link. You can purchase the digital download via pay pal, or if you don't have a pay pal account, there is an option to use a credit card. The other stories are fabulous and well worth reading. Thanks, as always, for your love and support. See you back here on Wednesday. Brittany, congratulations!!! I bought it and as soon as my technamalogical devices will let me, I am going to read it. You are a great talent!! Way to put your self out there and WIN!